There has been an astounding 30% decline in the number of elephants over a seven year period (from 2007 to 2014), a decline by over 8% each year. There is the horribly sad and concerning fact that rhinos and elephants are amongst other endangered species. How can our race have the audacity to take the lives of those without a voice? Young Leopard Falls From Tree! 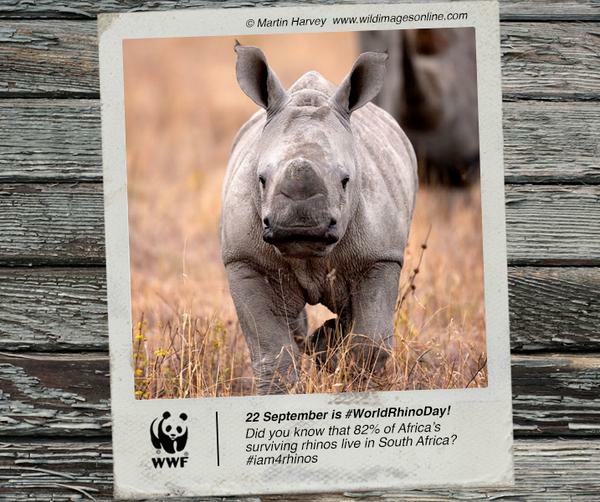 I was following the hashtag “#Iam4Rhinos” this morning and I saw that WWF tweeted that 20,400 is the approximate number of white rhino remaining in the world. IN THE WORLD. 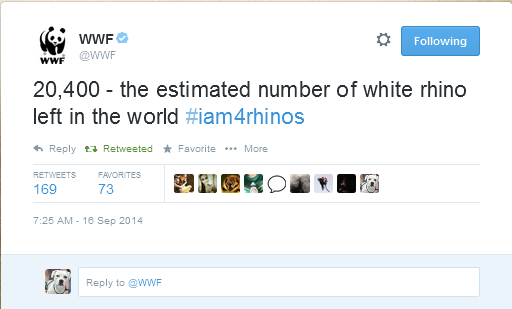 The white rhino species is in peril. Since 2012, 1 to 2 rhinos have been killed by poachers per day. This is unsustainable. If the poaching remains the same or becomes even more aggressive, then I may very well see the extinction of white rhinos in my lifetime.